General Contractor Service - Roofing, Kitchens & Bathrooms, Window & Doors, Commercial and Residential. We’ll be contacted immediately and will get back to you as soon as possible. We’d like to think it’s our expertise and professionalism that sets us apart from the competition. We believe that with our high level and standard of work you’ll be satisfied with the quality of the job we do. Our attention to detail and excellent customer service make us the front runners in this industry. So if you’re looking for roofing contractors in Scranton pa, look no further. We know what it’s like to be uncertain about which roofing contractor to turn to, especially when there are a number of roofers in Scranton. We want to make sure that the transition from starting the job to completion is a smooth one and this is where our reputation excels. We understand that any construction project can come with added stress and fear, but we are there with you every step of the way to reassure you that the project will hit the required timescale and budget. We can also provide assistance in major decision making to ensure that the quality of our work meets your requirements both visually and financially. Our core services include commercial and industrial roofs to residential and metal roofing. We only use top quality materials such as Owens Corning Materials and have the knowledge and skills required to identify your roofing problem, and recommend the best way to fix it with minimal disruption to day to day life. On top of that we operate within strict health and safety guidelines as well as making sure that all our work meets national standards. During its lifetime the roof of your property will become worn down as it battles a variety of weather conditions. A damaged roof will cause further problems to your home if it’s not looked at right away by an industry professional. If the problem is ignored weakness will almost certainly lead to future complications with the structure, and become expensive. We are an extremely experienced roof repair contractor based in Scranton PA. Our qualified team will be able to fix and repair your roof helping to add to its longevity and at the same time rising the value of the house. We can repair everything from broken or damaged shingles to faults with metal roofing. We’ll aim to give you a fair assessment as well as a solution, meeting a cost which suits your budget. As part of our professional services, our team of experts contractors are on hand to carry out emergency roof repairs to make sure that you and your family are safe and protected all year round which is why we’d like to think of ourselves as some of the best roofers in Scranton and Pennsylvania. If you’re faced with a situation where your roof needs to be replaced and you’re looking for roofing contractors in Scranton pa, then we are the people to turn to. If we’re unable to repair the roof and the damage is greater than first anticipated then we will be able to replace the entire roof. 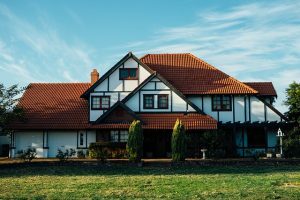 While this might seem a daunting prospect, undergoing a full roof replacement is the only way to make sure that it’s fixed permanently and that future complications don’t occur. 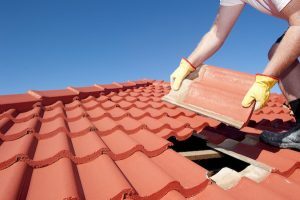 As one of the best specialists amongst all the roofing companies in Scranton PA, we to make sure that by replacing your roof we can help eradicate such things as water leaks and loose tiles or broken shingles. A new roof will also help protect your attic, ceiling and other internal structures. You’ll also be able to improve the energy efficiency of your home and save on costly heating and cooling bills. Our experienced roofing professionals will give you peace of mind, increase your property value, and protect your home for many years to come. Many people don’t realize the full benefits that a metal roof can provide to their home. As well as being durable and long lasting, they are able to withstand harsh weather conditions. With so many different types of metal to choose from including copper, aluminum and stainless steel we can recommend the right type of metal for your home. 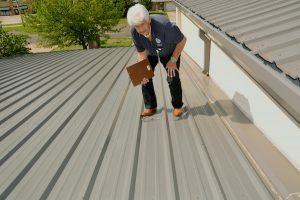 Metal roofs don’t need to have regular maintenance and our highly trained team of metal roofing experts will install the roof to suit the look and feel of your home – in keeping with the surrounding areas. As we are specialists in metal roof installation we are able to complete most projects and we never turn a job down either commercial or residential. When it comes to commercial roofing you can be sure to put your trust in us. We cover a wide range of commercial properties and can fix and repair everything from flat or pitched roofing systems to providing repairs to common roofing faults as well as regular maintenance. We can also provide a roofing solution for different sized commercial properties and our dedicated service will make sure that everything fits your building regulations, requirements and budget. We know that in certain situations a faulty or damaged roof can cause some businesses to become out of action. We hope that this won’t be the case and we’ll endeavour to do the job as quickly as possible with as little disruption as possible. A damaged or even leaking roof can quickly become serious and expensive if left untreated. We only use quality supplies and workmanship in order to carry out your repairs quickly and efficiently, minimizing the damage to your industrial or commercial property and offering a premium, round the clock customer care and advice service. 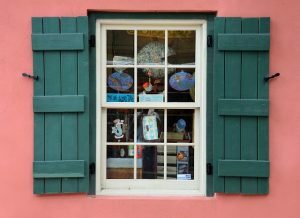 It’s important to have any issues seen to by a professional as soon as possible in order to assess the extent of the problem and save your property from sustaining further damage. As one of the leading roofing contractors in Scranton, that’s why we offer a 24/7 emergency call out service, with our trained team working around the clock to make sure your repair is carried out as quickly and as safely as possible. We will ensure that you get a trustworthy and reliable service. As professionals you can count on us to do a complete clean-up before we leave. Our reputation is solid and we get many recommendations from previous clients that have employed us. We are quickly becoming known as a dependable and quality roofing company from Scranton, across the whole of Pennsylvania. Our experienced team are highly capable in many areas of the roofing industry and we’ll make sure that we respond to your call as quickly as possible. If you have a roofing emergency or common repair problem then call us today. We offer free estimates and 100% financing is available.